When choosing new garage doors Tarzana CA, you’ll probably be equally concerned with aesthetics and functionality. Just let us know what kind of design details you want in your doors, and we’ll help you find ones that have the right colors, window shapes, decorative hardware, and other details. 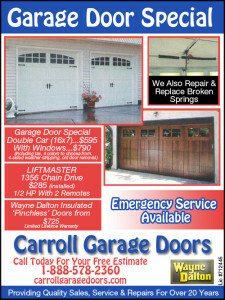 We can also help you find a door with a well-constructed core that can deliver years of reliable performance. You may also be interested in other aspects of the door’s performance, like quiet operation and thick insulation. Since the garage door opener plays a big role in your garage door’s performance, we’ll make sure that you get an opener that has all the features you want. 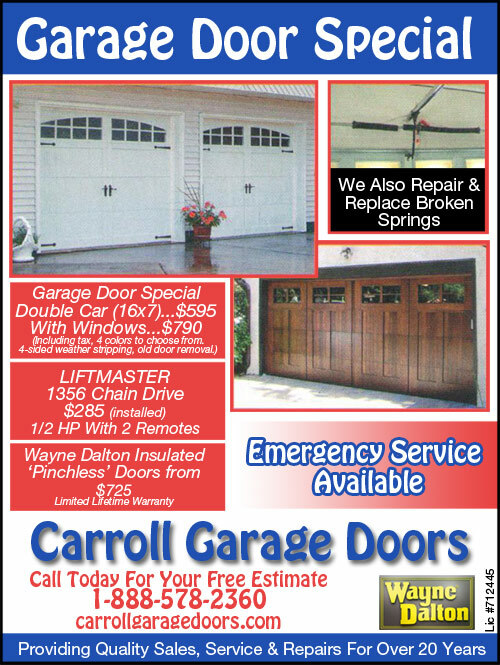 Once you’ve invested in a new garage door, you naturally want to protect this investment by getting professional installation from Carroll Garage Doors. We’re so sure our technicians will do a superior job, we back our installations with a warranty.